Fixed Wireless Access (FWA) broadband provider Airband has secured funding to connect as many as 50,000 premises in rural locations by 2021. The company delivers superfast broadband using a combination of both conventional fibre networks and FWA, supported by Airband’s existing mast network which serves more than 20,000 homes and businesses across England and Wales. 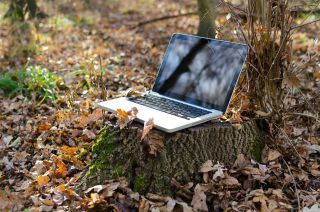 Airband has previously worked with the government-funded Superfast Cymru and Connecting Devon and Somerset (CDS) Broadband Delivery UK (BDUK) to deliver connectivity to national parks and churches among other places. The new investment has come from the National Digital Infrastructure Fund (NDIF), a public-private initiative managed by Amber Infrastructure Group and support by the government’s Digital Infrastructure Investment Fund (DIIF). “We have been expanding our Fixed Wireless Access network so that thousands of rural homes and businesses in some of the hardest to reach areas in Devon, Shropshire, Wales and the Midlands gain the opportunity to connect with broadband speeds of up to 30Mbps,” said Redmond Peel, Airband Managing Director. FWA is seen as one of the major applications of 5G. The first 5G networks are set to go live in the US later this year and will deliver FWA broadband to urban areas where competition or coverage is lacking in fixed fibre.